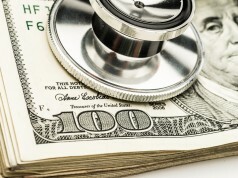 Home Compensation How satisfied are physicians with their pay? 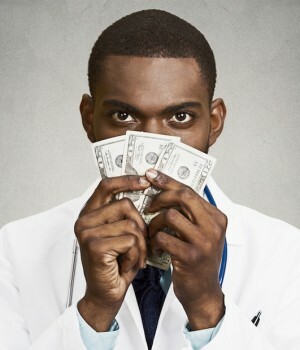 Are doctors happy with what they earn? Data from two physician surveys paint somewhat different pictures, but the upshot is that many report being satisfied with their pay. According to a 2017 Medicus survey, pay is still very important. 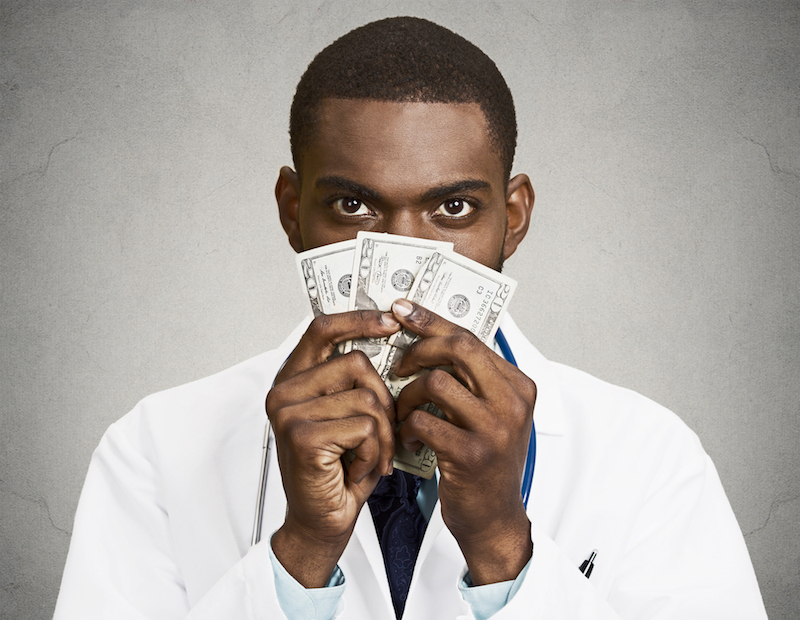 The survey concludes that physicians are still highly motivated by money, with 30% naming compensation as the biggest single factor motivating them to make a career change. When Medicus asked doctors to rate their satisfaction with income according to three categories, the results were just about equally divided. A little more than one-third (35.77%) said they were satisfied with their income, while another third (32.46%) were unsatisfied and 31.77% were neutral. But data from a 2017 physician survey by Medscape found slightly different results. Just over half (54%) of all respondents reported being satisfied with their pay, significantly higher than what the Medicus survey found. In addition, Medscape survey results were able to point out differences in satisfaction with pay by specialty. Among emergency physicians, for example, 68% reported being satisfied with what they earn, compared to only 41% of nephrologists. Medscape data also found that some of the highest-paid doctors report the lowest levels of income satisfaction. The highest-paying specialty, orthopedics, is in the bottom third of satisfaction levels, for instance, with under half (48%) saying they’re satisfied with their pay. Satisfaction levels among the second two highest-paid specialties—plastic surgery and cardiology—are only a few points higher. The Medscape survey also asked doctors how much money they think they should earn. About half say they don’t want a huge percentage increase, and there’s not much difference between specialists and PCPs. About one-half (46%) of PCPs, for example, would like to earn between 11% and 25% more. However, one-third say they would like 26% to 50% more pay. Among specialists, 41% say they would like 11% to 25% more compensation, while 33% want 26% to 50% more. Finally, the Medicus survey asked doctors two additional questions about their income: how their income will change between 2016 and 2017 and the factors that are limiting their pay. Changes in income. Just over one-quarter thought their income would increase in 2017, while slightly more than half said their income would remain the same. Limitations to income. When asked to name factors limiting what they earn, the largest single portion of physicians—32%—identified reimbursement cuts from insurers and other payers. The second largest factor cited was personal choices, such as working less, which 14% of physicians say affects their income. Previous articleIt might be your first job, but is it the right fit?